Our teachers are passionate about guiding children and adults in the arts. We believe the arts are an important part of life and should be enjoyed to the fullest. 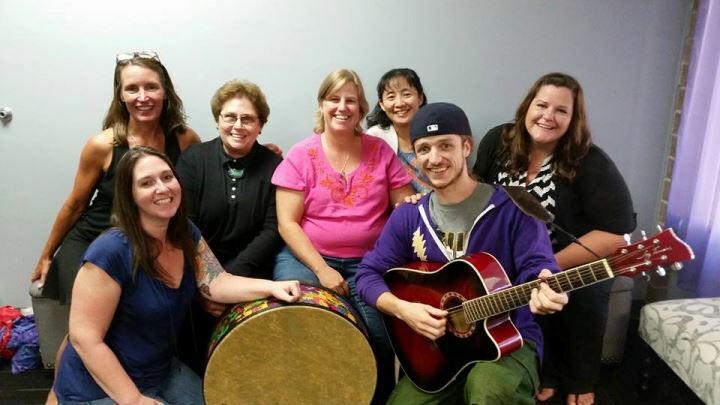 All our Music Together® teachers have successfully completed the intensive official Music Together teacher training offered through Music Together, LLC in Princeton, NJ. They create a fun, informal, social setting that spurs engagement and supports each child's musical development. Meryl is a certified Music Together Teacher and licensed Signing Smart teacher. Being raised by professional musicians, Meryl has been involved in music all her life. She has participated in music performance including various choirs, solos, and musical theater. On the college level, Meryl studied vocal music and minored in piano. Having completed her Music Together teacher training in November 2002, she is now bringing this wonderfully enriching program to the lives of Cape Cod families. She is the proud mother of Peter (15) and Russell (17). Meryl is a member of the Early Childhood Music and Movement Association and the Children's Music Network. She has enjoyed playing the djembe with the Cape Cod African Dance and Drum Ensemble and sang and played various percussion with The Beach Plums. In 2005, the Center for Music and Young Children in Princeton, NJ, awarded Meryl Music Together Certification Level I status for outstanding achievement in teaching, musicianship, program philosophy, and parent education. In 2010 she completed her certification level II, the highest level of certification Music Together offers. Courtenay is a transplant from New York City where she worked as a professional actress for many years. A member of Actor's Equity Association, she holds a Bachelor of Arts degree in Music and Theatre Arts and has performed for audiences across the U.S., Canada, and Europe. In February of 2012 her original play, "Death-It Happens" (co-writer and performer) won the highly coveted "Audience Choice" award for the New York City Frigid Festival of new plays. She can be found teaching parent/child Music Together classes in Sandwich. Jan Allen Melikan began singing and playing the guitar professionally at the age of 13. Throughout her 47 year career Jan has directed and performed in theater productions and music festivals. She has composed for and sung in radio and television commercials and industrial shows for major corporations. 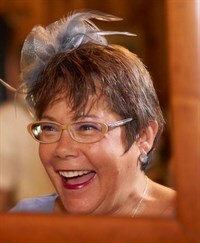 Together with her husband, Dale, Jan entertained in clubs, restaurants and private events for over 35 years. She taught music for several years in a private elementary school in Connecticut. Most recently, having moved to Cape Cod, Jan and Dale owned and operated a B&B in Brewster for 6 years, where they performed for their guests on Saturday evenings. Jan's love of music and her enthusiastic belief that everyone should have music in their lives (besides being Meryl's mother! ), make Jan a great addition to our Music Together team. Alicia Mathewson is a composer, lyricist, playwright, singer, healer, and teacher. Her song Deliver Me was premiered at Carnegie Hall in December 2006 and her independent musical production of Love According to Luc (Greenwich Street Theater) received a 2004 nomination for best off-off Broadway play from GLAAD. She holds an MFA in musical theatre writing from NYU'S Tisch School of the Arts and has taught music and theater internationally for the past 15 years. Winds of Sinai an album of original songs was released in 2008 and can be heard on itunes, cdbaby, and in a variety of yoga classes and healing workshops. She is grateful to be back on Cape Cod (BHS 88) and working with Meryl's Music and Arts to share the wonderful program of Music Together. To learn more about her and Sounding Still Wellness please visit www.aliciamathewson.com. Liz Brown is a vocalist, a pianist, a mom, and a registered Music Together teacher. A life-long music maker, she gets great joy from making music with others. Liz began piano lessons at five and began teaching piano while she was still in high school. She has performed with acapella group, bands and small ensembles in New York, Florida and Massachusetts. Since arriving on Cape Cod 13 years ago, she has frequently performed in musical productions at the Cotuit Center for the Arts, EventideArts, and the Woods Hole Theatre. She has also had the good fortune to travel widely and lived in the UK for several years. Before she turned her attention to teaching Music Together classes, she built a career as a non profit executive while raising three (now grown) children in a house full of music. Liz is thrilled to be able to bring the joys and benefits of music to a new generation. No classes are currently scheduled. Copyright 2015 Meryl's Music and Arts Centers. All rights reserved.